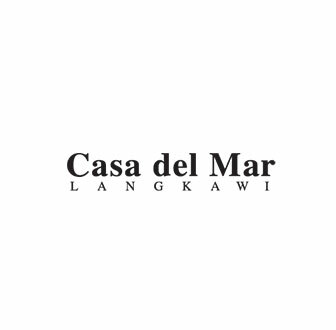 Go to http://www.casadelmar-langkawi.com/ for details. Stay for at least 2 consecutive nights to earn BIG Points. Earn 2,000 BIG Points with purchase of Romance By the Sea package. Click here to book 2 nights stay at Casa del Mar Langkawi. BIGLIFE ID must be entered at the time of hotel booking to earn BIG Points and the reservation must match the name on the BIGLIFE ID. BIG Points will be credited to your account within 8 weeks after completion of stay. T&C apply. This “Earn 1,000 Points on Every Stay Campaign” (“Campaign”) is organised by Think Big Digital Sdn. Bhd. (“BIG”) and HPL Hotels and Resorts Private Limited (“HPL”) (jointly referred to as “the Organisers”). This Campaign runs from 1 October 2017, 00:01 (GMT +8) till indefinitely unless advised otherwise by the Organisers (“Campaign Period”). The Organisers reserve the right to amend or extend the duration of the Campaign at any time as they deem fit. BIG Points will be credited to the Participants within eight (8) weeks after the completion of the stay (or any other period as the Organisers deem necessary) subject to the Organisers receiving all necessary information as deemed necessary. In the event of any cancellation of bookings made, no BIG Points will be awarded. The Organisers reserve the absolute right, at any time, to verify the validity of Successful Booking and Participants. Without limitation, Participants agree to provide a copy of the identification card to the Organisers upon request. The Organisers’ decision in relation to all aspects of the Campaign are final, binding and conclusive under any circumstances and no correspondence nor appeal will be entertained. The Organisers further reserve their right to use any personal data of Participants in any manner and/or for any purpose they deem fit and the Participants are deemed to consent to such use with no monetary payment. Participants may be contacted, at any time deemed appropriate by the Organizers, via email or any other mode of communication deemed appropriate by the Organisers. The decision of the Organisers in relation to every aspect of the Campaign including but not limited to the BIG Points award and Participants shall be deemed final and conclusive under any circumstances and no appeal or complaint from any Participants will be entertained. Any request by Participants to provide their BIGLIFE ID or to be eligible for BIG Points after exiting the payment page at the dedicated website will not be entertained. This terms and conditions may be translated to other languages. In the event of inconsistencies between the English and translated versions, the former shall prevail. This “Earn up to 2,000 BIG Points on Hotel Stay Campaign” (“Campaign”) is organised by Think Big Digital Sdn. Bhd. (“BIG”) and HPL Hotels and Resorts Private Limited (“HPL”) (jointly referred to as “the Organisers”). This Campaign runs from 27 May 2018, 00:00 (GMT +8) and closes on 30th June 2018 23:59 (GMT +8) (“Campaign Period”). The Organisers reserve the right to amend or extend the duration of the Campaign at any time as they deem fit. Earn 500 BIG Points and enjoy complimentary dessert for 2 persons with minimum spend of THB 2000 on hotel bookings. *Terms and conditions of the respective Participating Hotels apply. BIG Points will be credited to the Participants within eight (8) weeks after the completion of the stay (or any other period as the Organisers deem necessary) subject to the Organisers receiving all necessary information as deemed necessary. In the event of any cancellation of bookings made or no-show, no BIG Points will be awarded. The Organisers reserve the absolute right, at any time, to verify the validity of successful booking and Participants. Without limitation, Participants agree to provide a copy of the identification card and/or passport to the Organisers upon request. The Organisers’ decision in relation to all aspects of the Campaign is final, binding and conclusive under any circumstances and no correspondence nor appeal will be entertained. The Organisers reserve the absolute right to substitute and/or replace the BIG Points from time to time without any prior notice to the Participants. The usage of BIG Points is subject to the BIGLIFE Membership Terms and Conditions.